“Oh, what a tangled web we weave when at first we start to deceive” wrote Sir Walter Scott two centuries ago. The Akufo-Addo government’s attempt to create data on non existing jobs, cook its own economic indicators confirms this truth. What serves as a stark reminder of the seemingly irredeemable character of President Akufo-Addo government is its blithe appropriation of its failing as the hallmark of its triumph. Lost in this self-assigned halo of infallibility, it denies itself the capacity for introspection and thus holds no promise of self correction. Hence, while it is clear to the majority of Ghanaians including some die-hard supporters of the Npp that the Akufo Addo government has failed miserably in the three major areas, the economy, corruption and security, in which it wants Ghanaians to measure its performance, it is still afflicted by the delusion of having recorded indelible strides in those spheres. 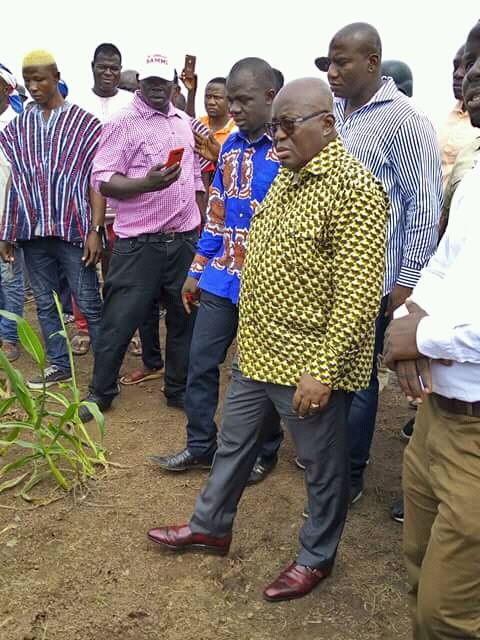 Apparently blinkered by their own state nourished affluence, officials of government and their propagandists think life has improved for every citizen and those who legitimately identify this as a reality in the febrile imagination of the Akufo-Addo government are easily dismissed as hankering after a dark past or described as naysayers. But has life really improved under Akufo Addo when the masses are afraid to move from one place to another? Or has this government not returned us to a Hobbesian state where little or no premium is placed on life? Evidence of a,state racked by insecurity abounds. But with the murder of Ahmed and other prominent citizens, the Ayawaso West Wuogon violence (State sponsored assault), we do not need to go far into the past to look for the indices of the absence of security of life. While praying to God to allow the sacrifice of Jesus Christ time continue to guide Ghanaians and help the country overcome the spirit of lies, deceit, betrayal, corruption, nepotism, we heard with rude shock and utter dismay, President Akufo-Addo’s state of the nation address and of particular interest is the paragraph that said his administration has worked hard to meet the expectations of Ghanaians. Really? These comments from the President are to say the least untrue bad an insult to the intelligence of Ghanaians who have been at the receiving end of this government’s mismanagement in the past two years. On SECURITY, efforts the Mahama administration made to improve security in Ghana is fresh in our minds. He procured modern equipments for the security agencies and allowed them operate as independent institutions. Ghanaians can testify to the gallant display by our regular security operatives that allowed elections time take place in all the polling stations in the country during the 2012/16 elections. -Who financed the importation of the South African mercenaries into the country? -As the commander in chief, did he know that his national security outfit had recruited hoodlums? -Do we need a meeting between the NDC and the Npp before we can disband these groups? -Who is in charge of the Npp vigilante groups? -What about the support they getting from top Npp officials including Kennedy Agyepong and Wontumi. On the President’s claim that new oil basins have been discovered by his administration, the Institute for Energy Security (IES) rubbished claim of discovery of a new oil worth 550 million barrels daily. The new oil basins mentioned in the President’s state of the nation report were discovered as far back as 2012/13. The President also said his planting for food programme has started yielding result. According to the President Ghana exported food to Burkina Faso, Togo and other West African States. That cannot be accurate because the Economic Community of West African States (Ecowas) recently offered the government of Ghana 2,750 tonnes of cereal to support its school feeding program under the Free SHS policy. According to a Daily Graphic report, the donation followed a request from the government of Ghana. The President did not touch on corruption, the state of the cedi, fuel price and utility tariffs which were the core issues he based his 2016 campaign on.